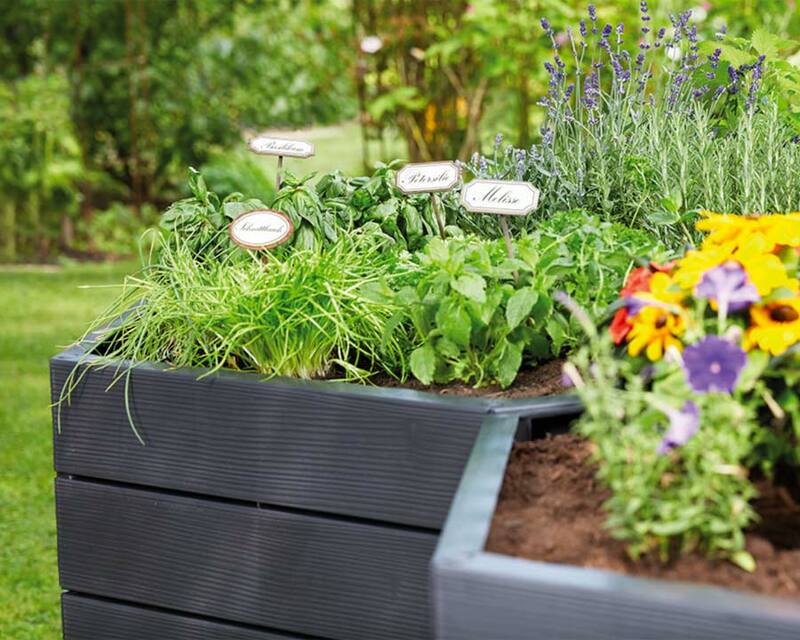 Raised garden beds are increasingly popular among garden-lovers as they take up little space and allow you to work in a more comfortable height. 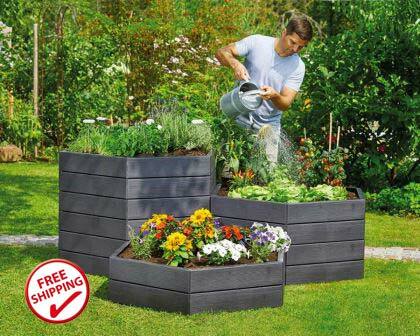 The new Ergo raised bed system from Garantia is ergonomic, modular and affordably priced. 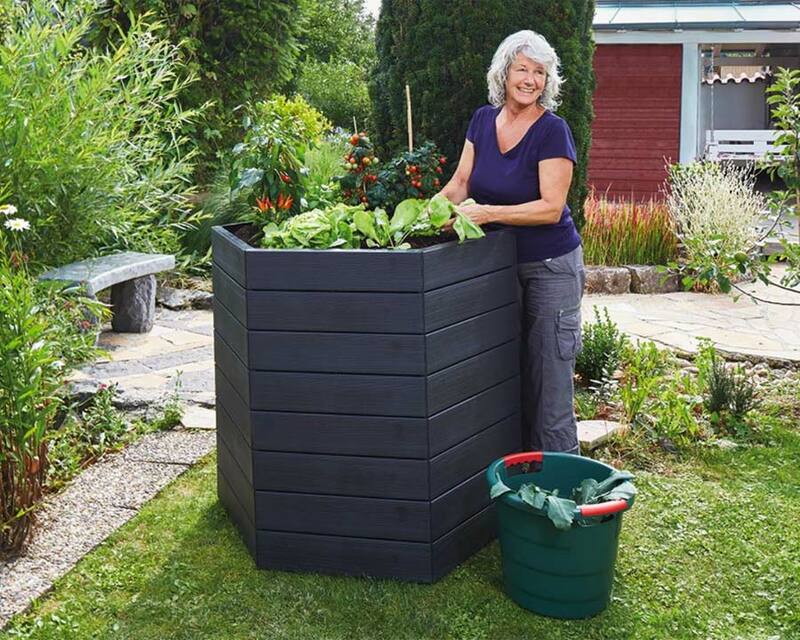 Filling the raised bed with nutrient-rich material such as compost and garden soil creates the ideal environment for growing plants as the higher soil temperature in a raised bed encourages plants to grow faster. This is due to both sunshine warming the exterior and the heat produced by the breakdown of individual soil layers. 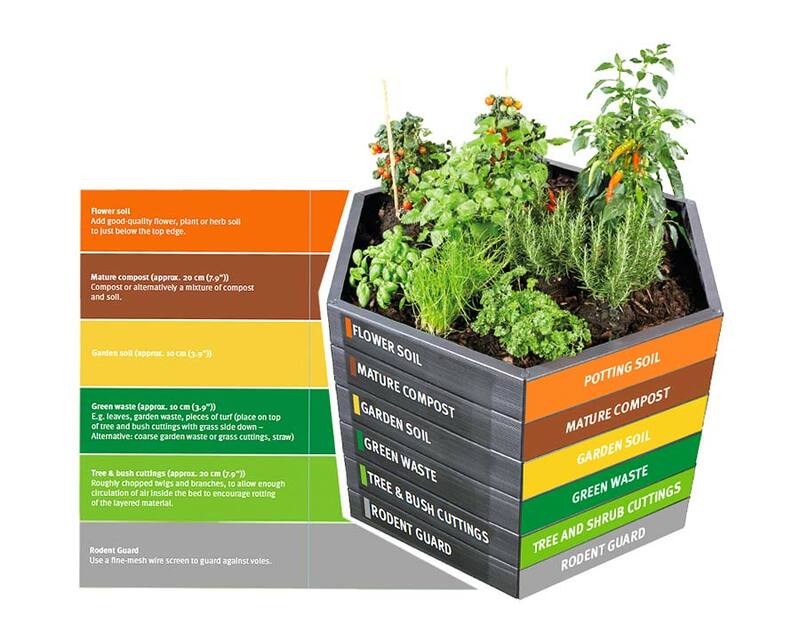 All kinds of plants, fruit, vegetables and herbs grow extremely well in Ergo raised beds. 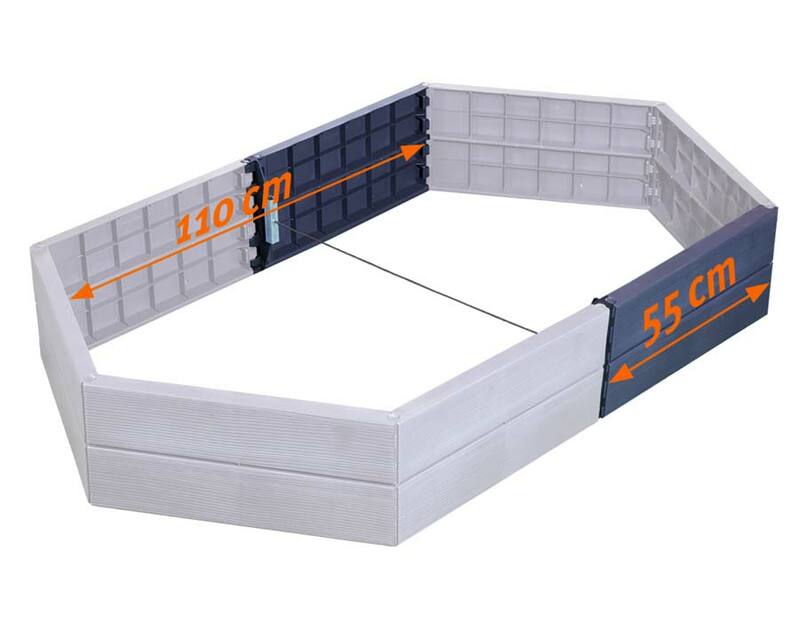 The height and length of the Ergo raised bed system can be adjusted according to use and type of planting and the panels are simply joined together with plug connectors. 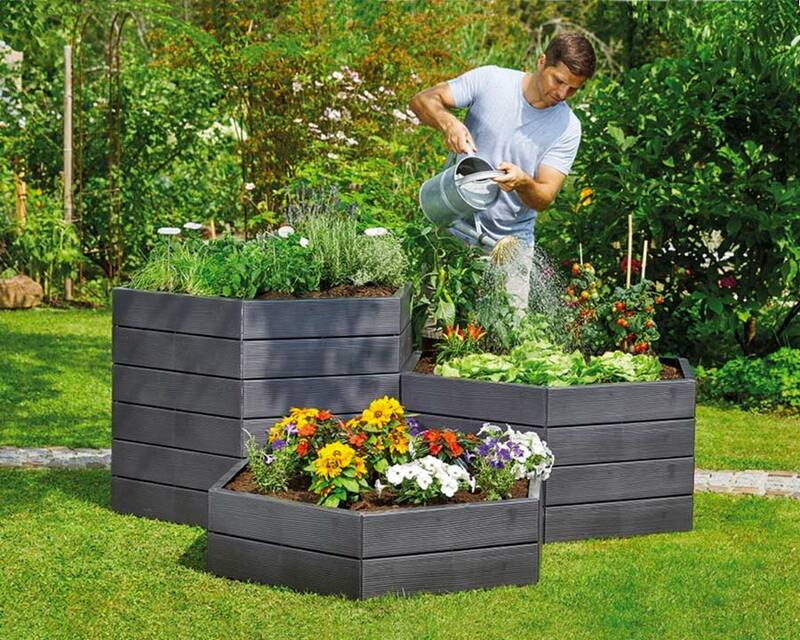 Designed and manufactured in Germany for strength and durability, these raised garden beds are a 'game-changer' being adaptable and so easy to assemble - you can make them up in a wide variety of combinations to suit the shapes and sizes you need. 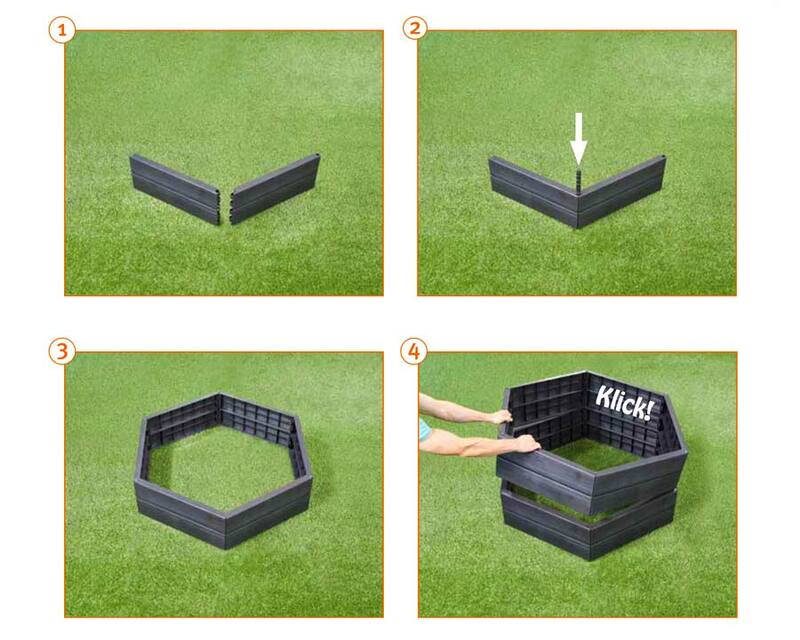 They are precision manufactured in Germany from 100% recycled, UV resistant plastics. They look good, with a wood grain texture finish and have a 5 year guarantee. 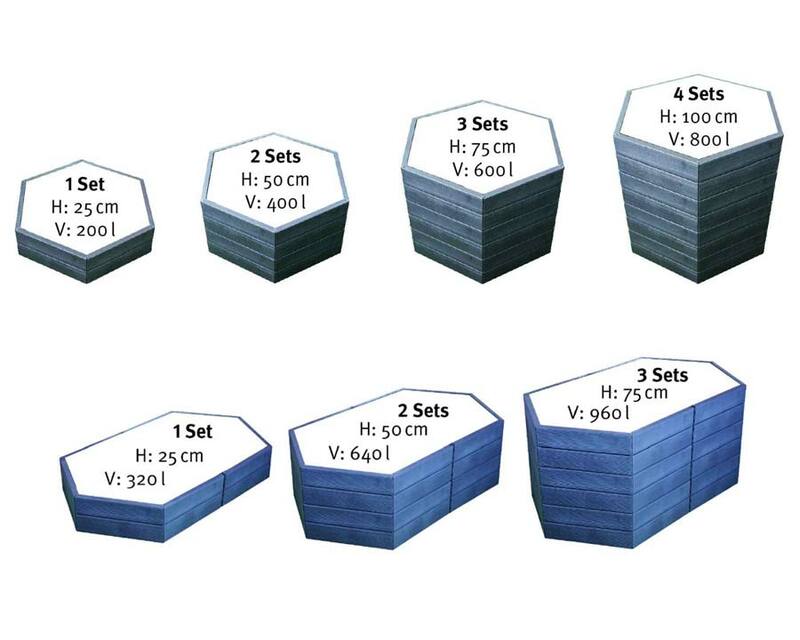 Dimensions of a each panel: 250mm height x 550mm length. #2. 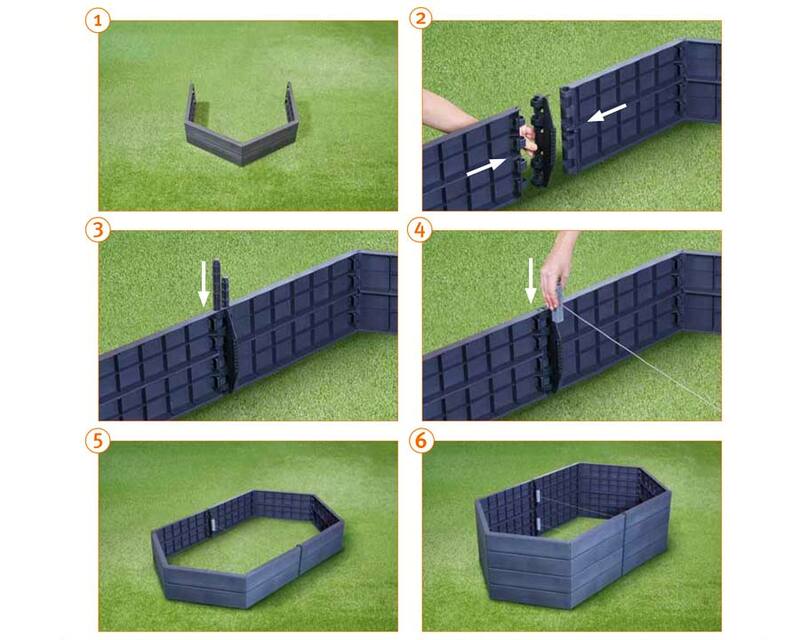 Extension kit including two 550mm panels, two adaptors and tie rope set. 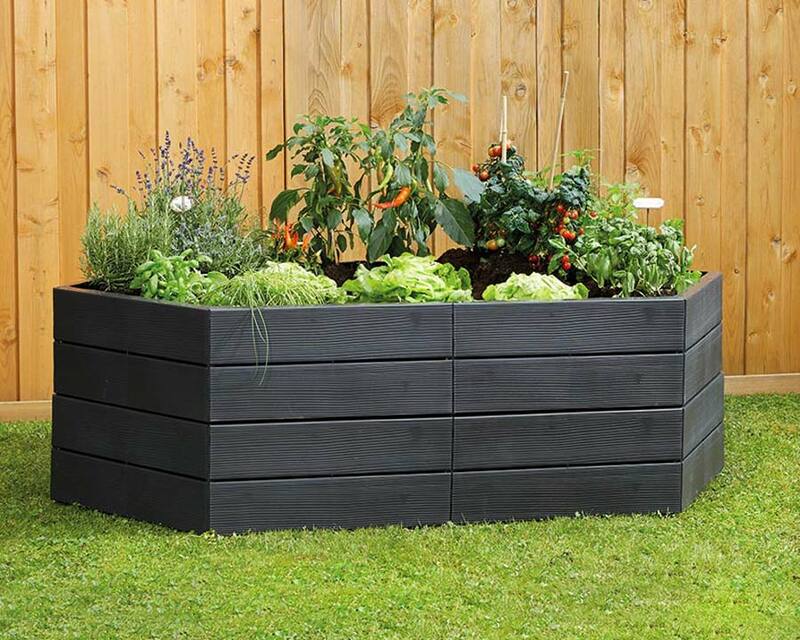 Darren.G - Subiaco WA: I've wanted a raised bed for a long while but either didn't want to make it myself out of wood or I didn't like the corrugated metal look. Then I discovered these Ergo beds which fit the bill perfectly. They are amazingly easy to assemble - it took me less than ten minutes. Took much longer to fill it up though ! Well made and looks great - very happy..
Berenice - Palm Beach NSW: I just want you to know that this went together so easily. My husband and I are delighted..
Lesley - Adelaide: Now I've got mine, I must say I'm very happy, but the description of six panel kit confused me initially. Its because each panel seems to be made up of two planks, but in fact each panel is just one piece with a groove in the front to look like two planks. P.S. 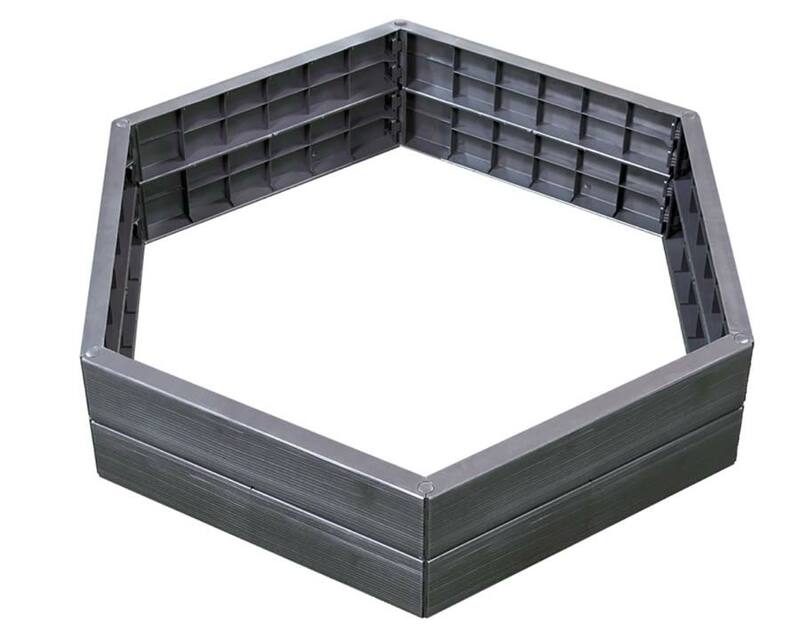 this is soooo much better than corrugated iron ! !.